A collection of storage units for any room in the home. 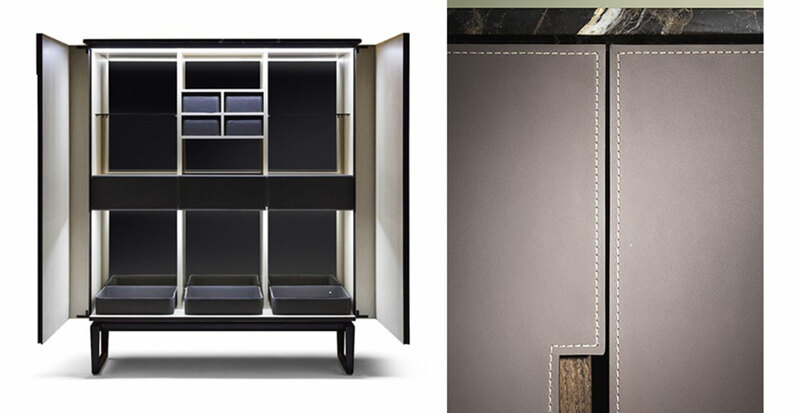 Low and High cabinet for the living room, this one also available in the drinks cabinet version. Deliberately lean design, precious materials. 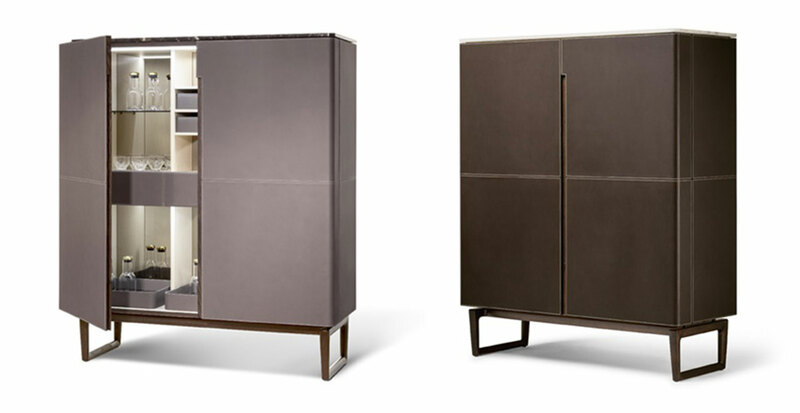 Formal minimalism and sophisticated finishes for an across-the-board collection, an easy match for all the Poltrona Frau furnishings yet with its own very defined personality.Its most distinctive feature is the vertical line that neatly separates the two doors. The base takes the form of a moka-coloured solid ash stand that brings out the visual lightness of the piece. The warm and intense tones of Cuoio Saddle Extra leather or Cuoio Saddle leather envelop the exterior. And in an evocative contrast, when opening the cabinet there is the surprising brightness of the extra light natural maple that completely covers the compartments and the inside surface of the doors, creating movement and depth. The supporting structure is in solid ash and birch plywood. The top is in ash with a moka finish or Emperador marble with a glossy finish or Calacatta gold marble with a glossy or semi-glossy finish. The rubber-capped steel feet can be adjusted. The fronts of the drawers, mounted on metal runners with soft closing mechanism, are also upholstered in Cuoio Saddle Extra leather or Cuoio Saddle leather. 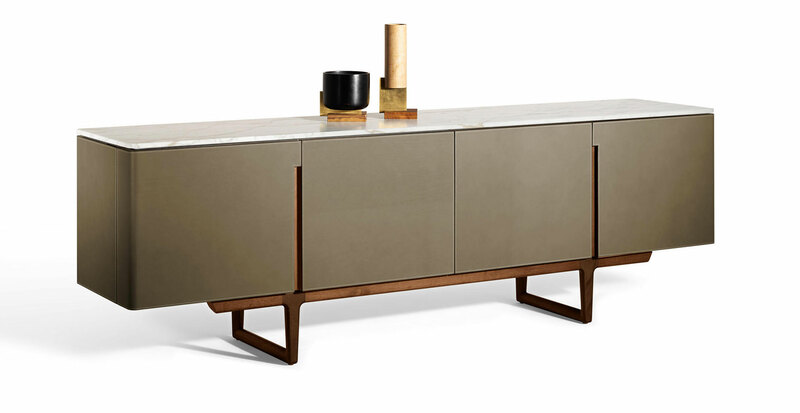 Precious contrast or tone on tone stitching refines the saddle leather cover on the surfaces of the cabinet. If desired, the rear can be in moka-stained ash or upholstered with saddle leather.